Some of the faces look like they could be from Louisville. Maybe the man grew up in the Russell neighborhood instead of the Democratic Republic of Congo. Other faces are wrapped in a hajib or other fabric head covering, so that we immediately assume that they have come here from another part of the world, even though we know America has a large Muslim population. Yet others show something about the features, or the set of the eyes, or maybe an expression of uncertain humility that feels unfamiliar to anyone born in the U.S. There is incongruity in the idea that a recent arrival from Somalia wears a Twilight: New Moon hoodie, and mistrust in the face of one girl, a distinct wariness that is missing in her sister, whose open and peaceful countenance peers out from with a hajib. 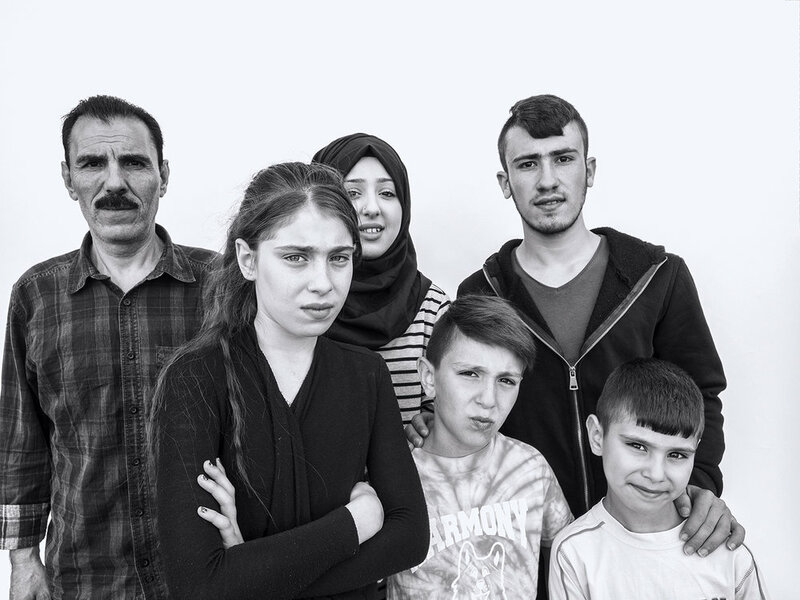 Their family has fled the Syrian Civil War, traveling halfway across the globe, to a place entirely foreign to them, not by choice, but simply to survive – to live. Saeed captures these people with stark simplicity that refuses to overlay any agenda except to witness them in all of their humanity. Most Americans cannot easily fathom the danger of their treacherous journey, or the heartbreak of having your community devastated by the horrific violence of modern-day warfare. If we ask ourselves whether or not we could find the courage, how would we answer - yes or no?. Perhaps this family never imagined that they could either, until there was no other choice. Can we accept such perseverance as anything less than heroic? 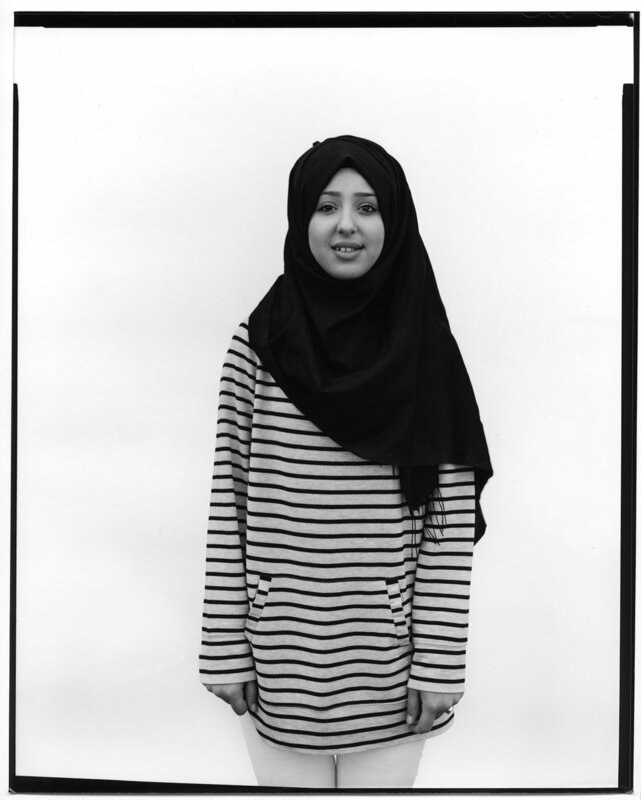 Saeed is currently featured in Looking Up: Heroes For Today – An LVA Exhibit at Metro Hall, which is on exhibit through January 11, 2019 at Louisville’s Metro Hall, 511 West Jefferson Street. His photographs have been featured in Louisville magazine and shown at local galleries. 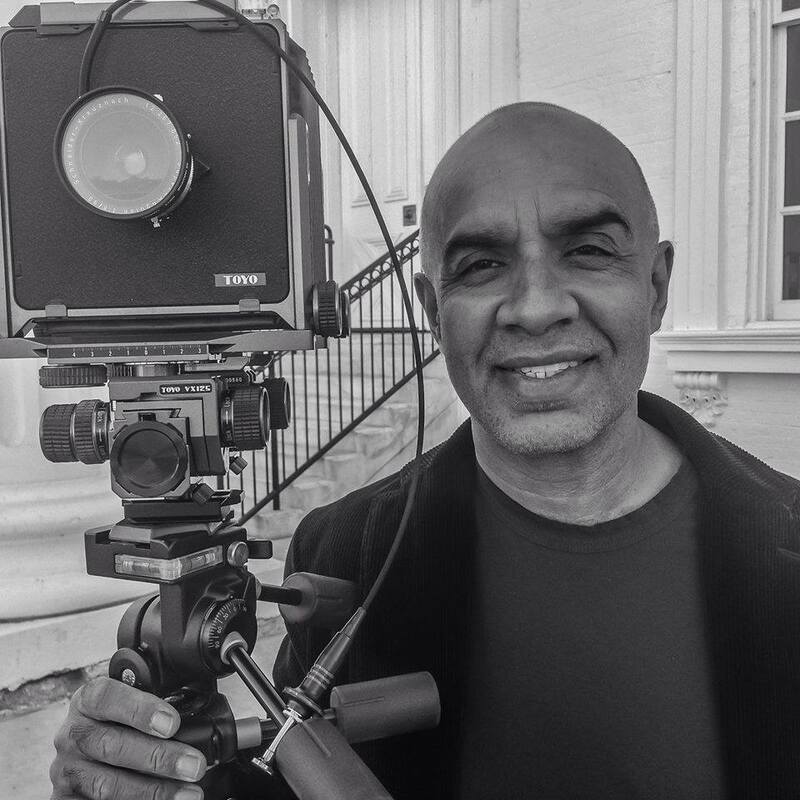 Saeed is a grant recipient for his photographic work from the Kentucky Documentary Photographic Project and the Kentucky Arts Council. Saeed has also taught photography for many years around the country. He is currently a student at the Hite Art Institute at University of Louisville in the Masters of Fine Art program. Education: BFA in Film Studies from Hampshire College, Amherst, MA; In his second year (of 3) at U of L's Masters of Fine Art program at the Hite Art Institute.